One thing you can say about the College Basketball Invitational — its not afraid to be different. As Wyoming and Coastal Carolina get ready to play Monday for the CBI championship, it’s not a one-game format. When the CBI was created 10 years ago it went with a best-of-3 series for the championship. UW (21-14) plays at Coastal Carolina (19-17), located in Conway, S.C., at 5:30 p.m. MT. Game two is in Laramie at 7 p.m. MT Wednesday. If a third game is necessary, UW hosts that one as well at 5 p.m. MT. All games are televised on ESPNU. If you’re wondering why a potential third game is at such an odd time, don’t blame UW, it has to do with TV. The NBA now uses best-of-7 series’ for all of its playoff games. There used to be best-of-5 for early round playoff matchups. The travel between Laramie and Conway is 1,810 miles and that will make things interesting for that second game in Laramie Wednesday — not just how both teams adjust from the first game, but also fatigue from travel, etc. There’s been a lot of firsts for Wyoming men’s basketball this season. First-year players, and others with bigger roles. Five UW players will go through another first Wednesday when the No. 7 seed Cowboys (18-13) play No. 10 Air Force (11-20) at 2:30 p.m. MT in a first-round game. They will play in their first-ever MW Tournament game. Two in particular are sophomore guard Justin James and junior forward Hayden Dalton. Both were on the team last year, but were suspended prior to the tournament after being cited by Laramie police for drug use. James and Dalton are UW’s two leading scorers at 15.5 and 12.5 points per game, respectively. “It hurt knowing I couldn’t be out there helping my team in some way. This year I’m ready to play,” James said. Needless to say, UW needs both players to have good games Wednesday, but perhaps the biggest area is ball security. James and Dalton lead UW in turnovers. Between both, they average about five turnovers per game, and many of them are careless turnovers that can easily be avoided. 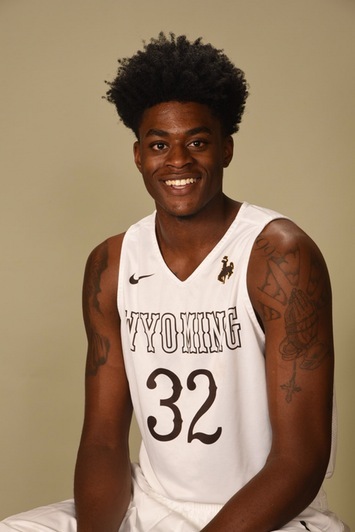 Lou Adams started both halves in Wyoming’s 102-100 four-overtime home win over Fresno State last Wednesday, but played only at total of seven minutes. First-year coach Allen Edwards didn’t like the energy Adams showed on the floor, so he didn’t play him when it mattered most. Adams, a junior guard in his first season with the Cowboys after transferrring from Odessa College in Texas, got the message Edwards was conveying. He scored a team-best 16 points and three steals in 24 minutes in Wyoming’s 81-74 loss at Utah State last Saturday. The points were the most Adams scored in a MW game, and tied for the second-most minutes he’s played in a game this season. Ready or not, basketball season is nearly upon us. Wednesday was Mountain West Men’s Basketball Media Day in Las Vegas. The league released its all-conference team and predicted order of finish. Senior guard Jason McManamen and junior forward Alan Herndon both were redshirted by UW, and now they are two of UW’s best players heading into the season. Redshirt years benefitted them, and they’ve noticed a difference so far in Moemeka this summer coming off his redshirt year. The season has been an up-and-down one for Wyoming men’s basketball so far with a 7-8 overall record. Same can be said for the Cowboys’ young post players — sophomores Jonathan Barnes and Hayden Dalton and true freshman Jordan Naughton. Dalton and Naughton are in their first years at UW. Barnes is in his second. I’m not including sophomore Alan Herndon here, even though this is just his second year in terms of playing for the Cowboys and third year in the program. He, too, has had is ups and downs, but for now we will consider him the veteran. Coach Larry Shyatt knew the youth and inexperience in the post would be “challenging” this season. 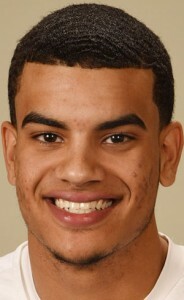 The 6-foot-8 Dalton averages 4.8 points and 3.7 rebounds per game. He’s pulled down five or more rebounds in six of UW’s 15 games, but at 185 pounds it is evident that Dalton struggles against bulkier guys inside. That was evident in last Saturday’s 71-68 loss at Nevada where Dalton was 0 of 5 from the field, with many of those misses inside. I don’t think anyone felt good about Wyoming’s 77-69 overtime loss to Division II Fort Lewis last Saturday. Yes, it was an exhibition game. Even though the Cowboys’ three best players — senior guard Josh Adams, junior guard Jason McManamen and sophomore forward Alan Herndon — didn’t play the last 15 minutes or so based on the decision coach Larry Shyatt made earlier in the week, there was a level of disappointment. Talking to the players this week, they seem determined that won’t happen Friday when the Cowboys open the regular season against Bristol University out of Anaheim, California. Football and men’s basketball doubleheaders for Wyoming are rare, but there was one this past Saturday in Laramie and the results were equal on both accounts — disappointing. The Cowboys lost to Border War rival Colorado State 26-7, but to me the score felt more like it was 46-7. UW was dominated in all aspects. Colorado State scored the first four times it had the ball. The Rams were conservative after that, and even then the Cowboys couldn’t do much. I caught up with players from all 11 Mountain West teams and asked them the toughest places to play in the league during MW Men’s Basketball Media Day in Las Vegas. As you will see, no big surprises where some of the toughest places are, but it’s still fun to see some of the players’ reactions. 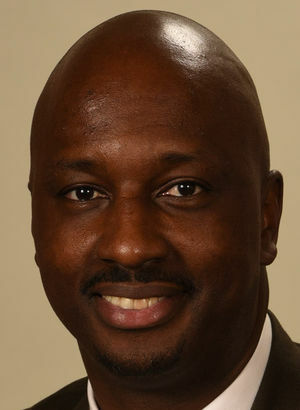 G Marqueze Coleman, Sr., Nevada: San Diego State and New Mexico. The crowds there are incredible. G/F Tyron Criswell, Sr., Nevada: San Diego State. Their student section was wild. You couldn’t hear anything. We had to coach ourselves. G Joe De Ciman, Sr., Colorado State: The Pit at New Mexico. You walk down that ramp and that’s what college basketball is all about. F Tiel Daniels, Sr. Colorado State: The Pit. G/F Anthony Drmic, Sr., Boise State: Colorado State, Wyoming, Utah State. Especially Wyoming with the altitude. My three takes from Wyoming’s 76-53 victory over Utah State Wednesday night. 1. That’s more like it: UW played better defense as the 53 points was the second-lowest point total its allowed in Mountain West play this season. Utah State shot a respectable 45.8 percent, but was just 6 of 18 from 3-point range. The Cowboys forced 11 turnovers and scored 15 points off those mistakes. The Cowboys also didn’t allow any second-chance points, and held a 30-21 rebounding edge. The Cowboys did a good job of going after Utah State redshirt freshman forward David Collette, who had 10 points in 5 of 6 shooting, but he wasn’t much of a factor in the game. The Cowboys never trailed in the game. This was the UW team many fans were used to seeing much of this season. 2. Nifty Nance: Senior forward Larry Nance Jr. had his seventh double-double of the season and 18th of his career with 21 points and 10 rebounds — both game highs. But what stood out about Nance’s game was his ability to hit short to mid-range jumpers. Seven of his nine baskets were jumpers, which Utah State was willing to give him. If Nance can continue to hit those shots, he becomes much more difficult to defend. Perhaps it was the emotion of senior night, but Nance looked more like the preseason player of the year in the MW in this game, and looked like he is on the tail end of recovering from mononucleosis — good news for the Cowboys as tournament time approaches.